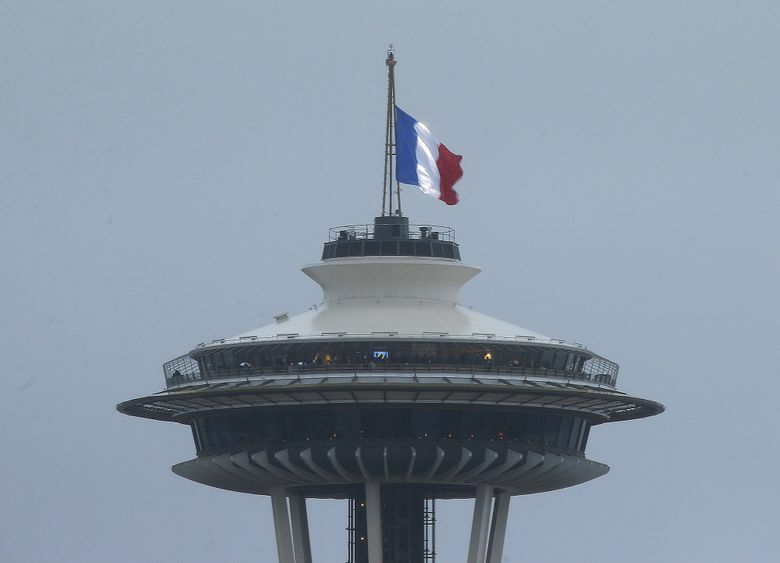 Seattle’s Space Needle is flying the French flag at half-staff in support of the people of Paris a day after the terrorist attacks. 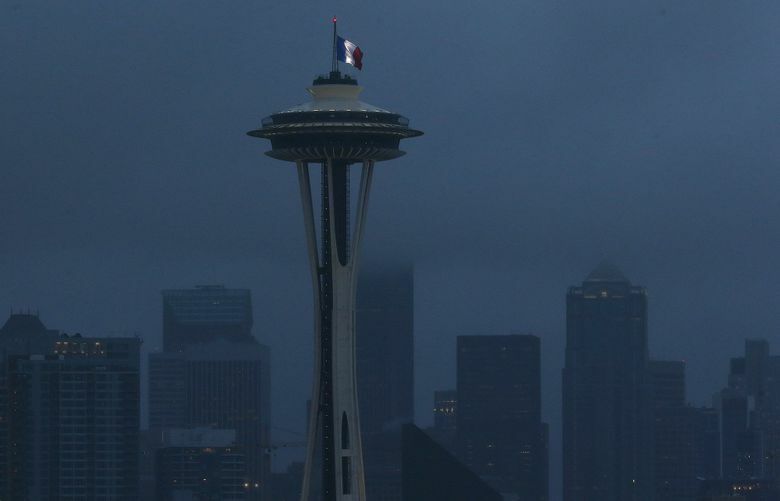 In the rain and bracing winds of Saturday afternoon, Seattle’s Space Needle stood in support of Paris, as a giant French flag was raised to half-staff atop it. 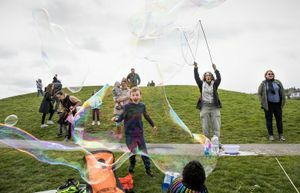 The 25- by 35-foot flag was special-made Saturday, picked up from Rainier Industries in Tukwila and rushed to the Space Needle to be raised about 4 p.m. 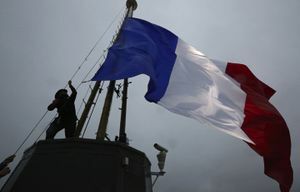 While Seattle used its great landmark to symbolize solidarity with France, the lights on the Eiffel Tower were switched off as a sign of mourning. Coral Garnick: 206-464-2422 or cgarnick@seattletimes.com; on Twitter: @CoralGarnick.